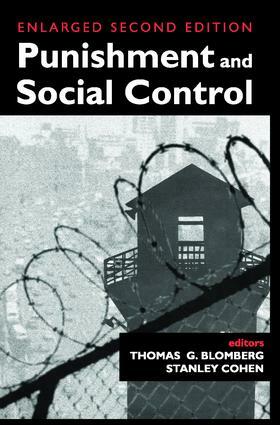 While crime, law, and punishment are subjects that have everyday meanings not very far from their academic representations, "social control" is one of those terms that appear in the sociological discourse without any corresponding everyday usage. This concept has a rather mixed lineage. "After September 11" has become a slogan that conveys all things to all people but carries some very specific implications on interrogation and civil liberties for the future of punishment and social control.The editors hold that the already pliable boundaries between ordinary and political crime will become more unstable; national and global considerations will come closer together; domestic crime control policies will be more influenced by interests of national security; measures to prevent and control international terrorism will cast their reach wider (to financial structures and ideological support); the movements of immigrants, refugees, and asylum seekers will be curtailed and criminalized; taken-for-granted human rights and civil liberties will be restricted. In the midst of these dramatic social changes, hardly anyone will notice the academic field of "punishment and social control" being drawn closer to political matters.Criminology is neither a "pure" academic discipline nor a profession that offers an applied body of knowledge to solve the crime problem. Its historical lineage has left an insistent tension between the drive to understand and the drive to be relevant. While the scope and orientation of this new second edition remain the same, in recognition of the continued growth and diversity of interest in punishment and social control, new chapters have been added and several original chapters have been updated and revised. Stability of Punishment: What Happened and What Next? Penal Reform and the Fate of "Alternatives"